The Krone Trailer Axle made its début at the IAA 2014. Two years later, about 25,000 Krone trailer axles are in operation. Since the demand for the Krone trailer axle remains high, Krone is currently investing in their production site in Dinklage. "After a friction-welding machine for the axle body of the Krone axle was put into operation in the winter of 2015, a new production hall is now being built, including a new assembly line for Krone axles and related logistics. The construction project should be completed by the end of 2016; the assembly capacity for Krone axles will then increase to 60,000 units per year. The investment volume for this new building amounted to about 5 million Euro", stated Bernhard Brüggen, CEO of the Commercial Vehicle Group. The gigant axle range will still be produced in the former assembly hall; here, the capacity is approximately 30,000 units. Bernard Krone, Managing Partner of the Krone Holding Group, is happy about the positive development. "Making the axle a priority at Krone was an important and appropriate step. Our customers were quickly convinced of its high quality.. The axle is robust, durable, and low-maintenance, and for this reason, we offer a six-year warranty on the bearings and the axle body, without mileage restrictions. These arguments have proven to be popular with our customers; another point is, of course, that they only have one contact person for the vehicle – a point not be underestimated." Krone will be showing the new Krone drum axle for the first time at the IAA and will introduce a new piggyback air suspension for loading onto trains. 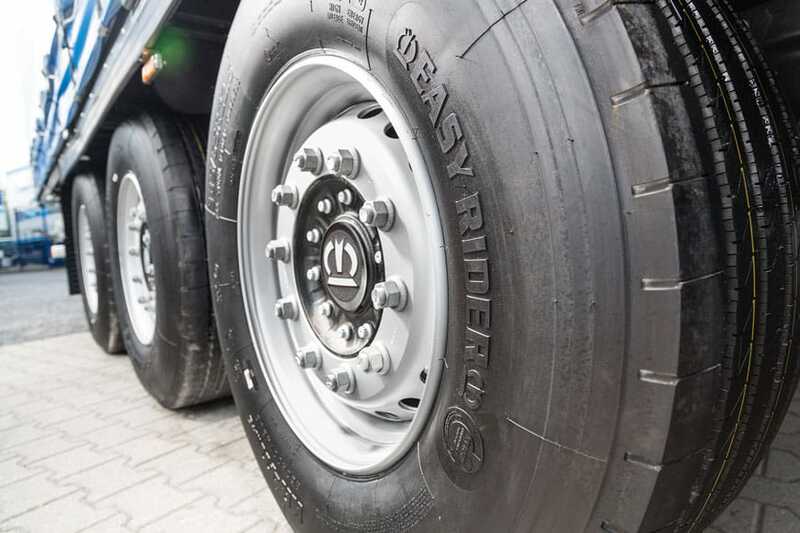 Even if disc brakes meanwhile, achieve a high market share in the trailer market, Krone records a constant high demand for drum-braked axles. Customers especially appreciate the robust design and low maintenance costs, which are considered an advantage - especially in combined transport. The new drum axle fits seamlessly into the Krone axle range of products and can be used for all vehicle types for which the Krone disc axle is also available.